Fragrance mogul Joel Cruz got his twins Prince Charles and Princess Charlotte christened on Saturday, November 18. 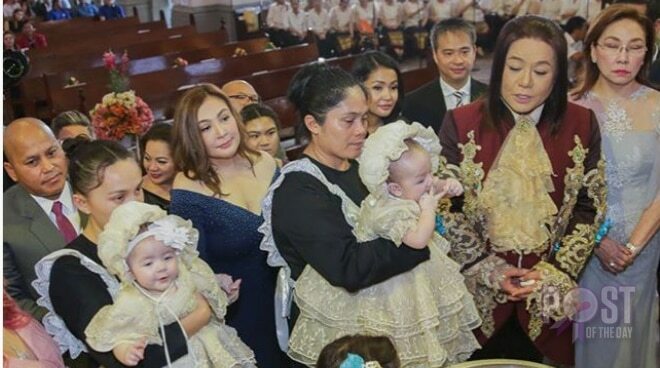 Present at the baptism were their godparents Senator Joel Villanueva, Sharon Cuneta, Mel Tiangco and Philippine National Police Director general Ronald “Bato” dela Rosa. Prince Charles and Princess Charlotte were conceived through in-vitro fertilization and were born in Russia last May 25.